Emissions have increased the atmospheric concentrations of CO21, which have in turn contributed to an increase in global average2 surface temperatures (Warming)3 of up to 0.5°C since the 1950s. IF the September 2017 sea surface temperatures (SSTs) in the tropical Atlantic were materially4 higher than normally appears after an El Nino5, then: (a) Warming might have contributed to those SSTs; and (b) the additional energy might have contributed to the intensity of Maria, to the extent of that excess. IF Warming has caused eustatic sea level rise to accelerate since 1993, this might have exacerbated the Maria storm surge (by about 2 centimetres). Evidence does not, and cannot ever, show that any particular weather event is attributable to Emissions. Weather is a chaotic non-linear system which is caused by unpredictable interactions between a plethora of influences. Lorenz famously posited that a tornado might be the outcome of a distant butterfly flapping its wings a few weeks earlier. Most scientists accept that Warming is a macro trend that cannot logically be related to any single local occurrence. Globally, the Accumulated Cyclone Energy Index—which measures the combined intensity and duration of all cyclones (or hurricanes) in all three tropical oceans—is currently running 20% below its long-term average. In fact, the index for 2017 was less than half of normal cyclone activity for the Southern Hemisphere. A 2017 study in the Journal of Hydrology by G.A. Hodgkins of the U.S. Geological Survey concluded that the number of major floods in natural rivers across Europe and North America has not increased in 80 years. Globally, too, floods have decreased in recent years. (Wall Street Journal 12/01/2018). A study published in 2017 by Qinjian Jin and Chien Wang of MIT in the journal Nature Climate Change reported that the Indian summer monsoon has strengthened in the last 15 years, and that since 2002 monsoon rainfall has increased significantly. The number of wildfires in California has actually been declining for 40 years, according to UCLA’s Jon Keeley, a leading researcher on the subject. A review published in 2016 by Britain’s Royal Society documented that the global area burned by wildfires has also declined in recent decades. As for drought, a comprehensive database published in 2014 in the journal Nature found that the proportion of the world suffering from abnormally low rainfall has slightly declined since the 1980s. On average, the globe suffers some 325 catastrophic natural disasters a year, but last year (through November) they were down to around 250, according to the Centre for Research on the Epidemiology of Disasters at the University of Leuven in Belgium. A third fewer people were killed by climate-related hazards, according to the Centre’s International Disaster Database. The great majority of countries have ratified the Paris Agreement of 2015, which refers to averting the “threat” and “risk” of Climate Change, and seems incompatible with the hypothesis that those threats and risks have already been translated into real events. 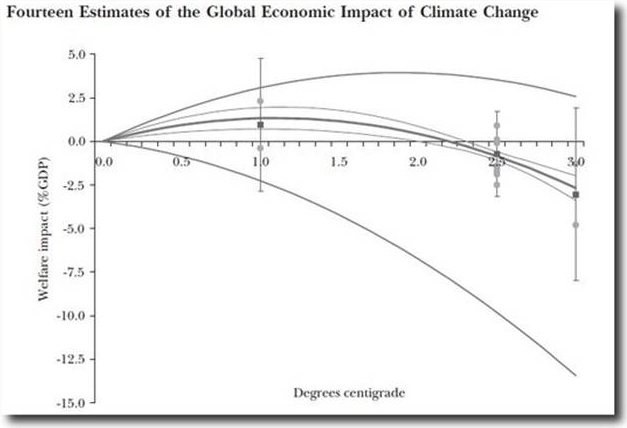 The Agreement carries the promise that dangerous AGW can still be averted if collective efforts succeed in “holding the increase in the global average temperature to well below 2.0°C above pre-industrial levels.” The average temperature was then only 0.85°C above pre-industrial levels. The fallacy of appeals to authority dates back to Aristotle and is scorned as argumentum ad verecundiam by logicians. The Royal Society’s famous motto – Nullius in Verba – urged members to “take nobody’s word for it”, because science should always be based on evidence. However, when there is no evidence (as in most climate science) it is natural to resort to the best judgment of experts. The model-driven science of Climate Change is heavily politicised and diverse views on many of the key issues are promoted by activists and lobbyists of every hue. A very diverse spectrum of views appears in the scientific literature and an individual climate scientist can readily be found to testify to any angle a journalist might prefer to pursue. However, climate-related policy-making, at all levels, generally regards the consensus opinions set out in reports of the Inter-Governmental Panel on Climate Change (IPCC) as the authoritative source of scientific advice. The common acceptance of this AR5 consensus is widely seen to be essential in order to make progress. It is referred to as the “mainstream” or “orthodox” scientific view. 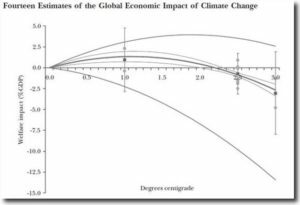 Similar comments are to be found in WG2 (2014) (pdf, 98MB), which deals more closely with the weather impacts of Warming, and in SREX (2012), the IPCC’s 582-page special report on management of extreme effects. 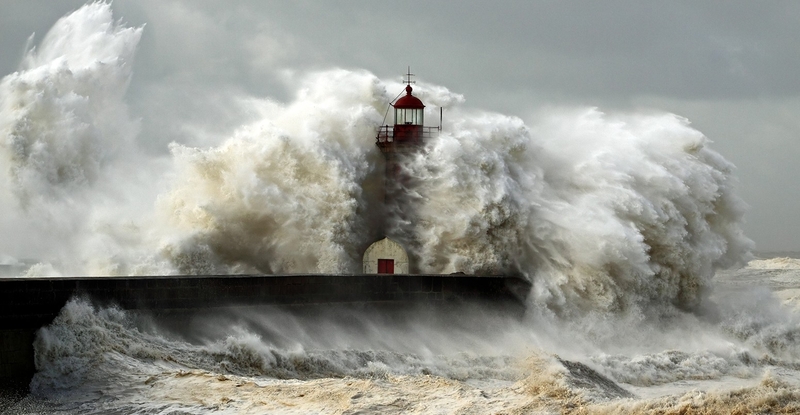 Climate scientists, meteorologists, economists and Governments appear to have arrived at a rare consensus – albeit by different paths – that recent extreme weather events can not be attributed to human activities. They should combine forces to fact-check those members of the media who find it too difficult to pass up the lure of a dramatic story. “Did humans cause 2017’s extreme weather events?” The answer is ..no. Rather stupid question, I would have thought. Are you being ironic or are you genuinely puzzled that anyone thinks we might have caused them? I would have thought by now , Richard, you would have twigged onto the fact that the “greenhouse effect” and “greenhouse gases” are about as real as fairies at the bottom of the garden. Read carefully that comment of mine and come back at me with any questions you may have. Mack, your comment on WUWT was, I thought, effectively demolished by Willis Eschenbach. Perhaps you have a different definition of “greenhouse effect” to mine? Whether it exists is moot. One explanation I have seen (sorry, forgotten the URL, but it is on YouTube) suggests that the surface temperatures of the various planets is a direct result of atmospheric pressure. Certainly if the second law of thermodynamics applies the hypothesis would appear to be correct (compressing the atmosphere would generate heat), but does the second law apply to the atmosphere of a planet? It is not a closed system. If the greenhouse effect does exist the argument reduces to the relative contributions of water, carbon dioxide, and methane and the other gases which can absorb IR radiation. Willis Eschenbach just ends his arguement with …”sigh”. He spent the whole thread argueing in defence of Trenberth’s looney Earth Energy Diagrams which uses the false, unreal, incoming solar radiation of 340 watts/sq.m arriving at the Top of the Atmosphere (TOA). You’ve not realised that every scientific institute on the planet has made this mistake…..mistake about an AVERAGE, in solar radiation at the TOA. You’re rehashing a pressure thermal gradient theory.. that if you read in that thread just before my comment, even Willis Eshenbach scoffs at. This is the quack theory than Doug Cotton has been ranting, railing and blathering about on the internet for years. He’s got this theory from Hans Jelbring . My confrontation with Doug Cotton is here, Gary…. Don’t neglect to read the included links , Gary. If you followed Doug Cotton’s ideas, it seems that the people who will survive this catastrophic global warming will be the ones with the strongest eardrums. “other gases which can absorb IR radiation”. The “absorption of IR radiation” wrt CO2 needs to be looked at here, Gary.. Note the science presented by Nasif Nahle just above that. Of course it’s “anomalously high”. It’s left over water from the big El Nino we’ve had for the last one or two years, which is making it’s way back across the Pacific. The hot blob will soon dissipate. Yes Simon, it certainly seems probable that the current weather system is related to the “marine heatwave” which has come across the Tasman and raised SST’s around New Zealand by an average of about 3°C. In turn, NIWA attributes this to the La Nina conditions that commenced in September 2017. Check the hyperlink in para 2 above. ENSO has been driving weather in the SW Pacific for thousands of years. It is probably the best-known example anywhere of ‘natural variation’. Neither NIWA nor any other climate professionals suggest this oscillation is caused by AGW. We can’t afford to keep pretending. Where has the heat come from? Climate scientists warned us man-made global warming would change the climate. Make extreme weather events worse. The Royal Society, National Academy of Sciences, American Association for the Advancement of Science, American Physical Society, American Chemical Society etc etc etc endorsed the science. Our resident AGW brainwashed loon , Horne… sends us off to this lefty, Californian, psycologist Jerry Kroth…I found this AGW deluded clown so wearisome with this endless psycological blather that I didn’t bother to see the whole diatribe through. However, I did pick up on a few lines I’ve seen about on a previous occasion…. How are humans responsible for the Northern Hemisphere’s long and cold winter of 2017/2018? The current, now passing, ‘warm blob’ affecting NZ is part of a recurring lunar tidal wave which repeats on 18-5-18 etc. cycles. Possibly exacerbated by collected enso remnants. These were much warmer at source, but cool only slowly because of their immense volume. For years NIWA has been telling us that we have experiencing warmest months, warmest summers etc. Now it appears, NZ’s Summer temp has only just overtaken the Summer of 1934/35. Goodness, what caused that hot weather, way back then? same as back in the 1930s….. BUT, this time there was a HIDDEN factor – climate change. Wonder how you measure a “hidden” temperature. Well, Maggie, it was probably ENSO as is always the case. But 1934 was in the midst of a burst of global warming which neither the models nor the spin-meisters have been able to explain. However, it is almost certainly untrue that the 1934 peak was below that of 2018. Brandolino is using the Salinger 7SS, which had pre-1975 data adjusted downwards. For the pre-WW2 period, Salinger adjustments were lowering the original recorded temps by a half-degree-plus – far more than the claimed excess of 2018 over 1934. 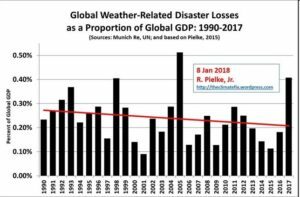 Pielke is a world-leading expert in weather damage trends and is just about to publish a second edition of his authoritative 2014 book ““The Rightful Place of Science: Disasters and Climate Change” (CSPO, 2018). Brilliant, Barry. I’ll read those and maybe post a separate article. Thanks. Well done on the misleading metrics Barry. It is the intensity not the frequency that has increased for tropical storm events consistent with a corresponding increase in sea surface temperatures. Economic losses are contingent on a small number of events when they hit large first-world cities. Disasters in the third world don’t count, especially if the economic losses are estimated off insured value. Fire events like the huge Carr fire only count with the destruction of property, the natural capital of hundreds of thousands of forest burnt is ignored because it is federally managed. The 2018 figures will be highly contingent on what super-typhoon Jebi does in the next couple of days and whether it affects Tokyo and Kyoto. 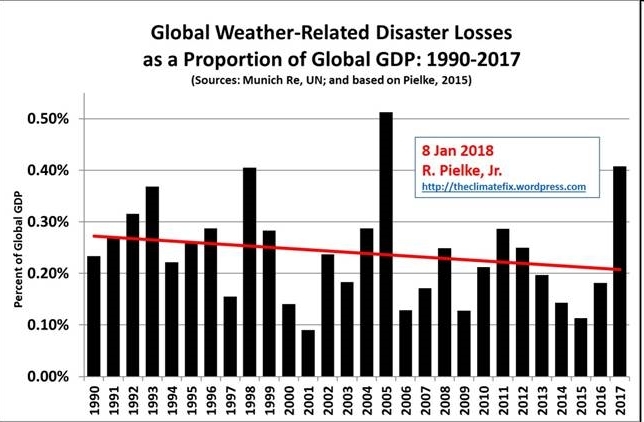 Watch Pielke Jr drop this measure like a hot potato if 2018 turns out bad, remember 2017 was the second highest ever recorded in terms of losses. Well, Simon, what data convinces you that hurricane intensity has increased in line with minute global temperature increases? Or droughts? Or tornadoes? Or floods? Or volcanoes? There are plenty of studies set out above which show the opposite to be true. I’ve not seen any of them rebutted. Let’s not forget too that heat waves cause severe drops in productivity but don’t get counted in Pielke’s stats because there is little damage to infrastructure. You’ve supplied eight references to hurricanes. You should know that predictions are not useful, as Barry asked for observational data. But I don’t know why you’re even taking him to task over “intensity not frequency” as it was the IPCC that reported “no increase in hurricanes, floods, droughts or tornadoes within the past 30 years.” Ask them to explain or read the AR5 (I think Barry meant to say 2013 but you know that). Heat waves haven’t increased and I suggest you look elsewhere for data on lost production, not at a study of insurance claims. It is the intensity not the frequency that has increased for tropical storm events consistent with a corresponding increase in sea surface temperatures. Why should increased SSTs increase storm intensity but not frequency? Heat = energy. Cyclones need a water temperature of at least 26.5°C to be self sustaining. Warmer air can hold more water vapour. Read up sometime on why Harvey was such a devastating hurricane and attribution to exceptionally high SST. Some amazing photos coming in from Jebi. Fortunately it has sped up and decreased to a Category 2. Looks as if it will pass right over Kyoto. I know. You haven’t answered the question. I did. Unfortunately you have a perception filter on inconvenient facts. Don’t be rude. You mentioned neither intensity nor frequency. I asked … well, you know what I asked. Intensity is determined by differences, so the polar cyclonic zones (Screaming Sixties etc.) where noone lives take the ticket. We can expect, and are seeing worse weather because cooling has begun and loopy jetstreams follow a straighter, shorter path into warmer or colder latitudes. Yet another problem for the warmistas to fantasise answers for. Looking to the LIA would be a start, also the sixties and seventies, teens and thirties. Hot cold or stormy, we’ve already been there and have the data. As stored by Tony Heller, myself and many others. All around the world, tree activists (including James Shaw) have been either hinting at, or claiming outright, that a range of extreme weather events have increased in recent years as a result of anthropogenic global warming. This is the whole basis of their faith that AGW is “dangerous”. The loudest and most persistent allegations have come from USA, where views on climate science are split on political party lines (85% according to Pew surveys). The left’s fixation is with tornadoes and Atlantic hurricane landfalls over the last 20 years. The NOAA Storm Prediction Centre has just released data showing that US tornadoes are at their lowest level in 65 years. Adjusted for changes in population and reporting technology, the tornado trend over 50 years to 2007 is dead flat. 70% of all human-caused greenhouse gas emissions has made not one whit of difference. So where is the proven “danger”? The IPCC Special Report (SR15) published last week has been reported in local media as supporting the view that the 0.87°C of warming that has already occurred since pre-industrial times (1750, but proxied by 1850-1900 temperatures) has caused an increase in the number or intensity of extreme weather events. The fear mongers (including Dan Corbett) say that the eastern Gulf of Mexico was unusually warm this summer. But Roy Spencer finds that the SST in the eastern Gulf was only the 9th warmest since 1860. 7 out of the top 10 warmest occurred before global warming even began – in the 1970s. Extending the study to all US major (3+) hurricanes clearly shows that the numbers peaked in the 1940s and have since trended downwards.